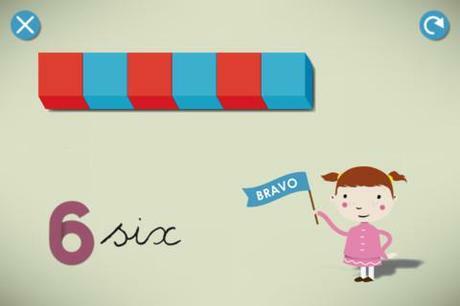 Remember the Montessori Letter Sounds HD Ipad app I reviewed a few months ago? 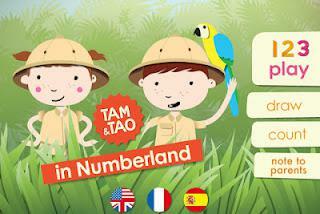 Well, this Numberland App is designed by the same team and uses the Montessori pedagogy as a base. Normally sandpaper numbers are used to trace the numbers in Montessori nurseries. 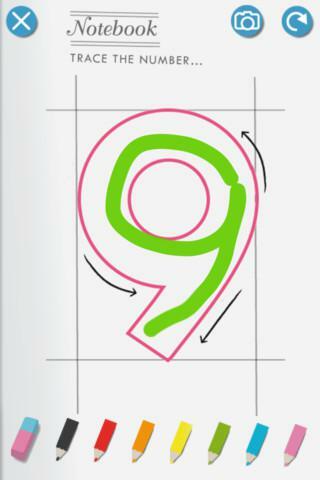 This method is imitated in the app so that the child can learn how to write the numbers. Number rods and spindles that are used in a Montessori environment are cleverly imitated,as well. I really like that the illustrations are visually appealing. The app is available in French, English and Spanish. 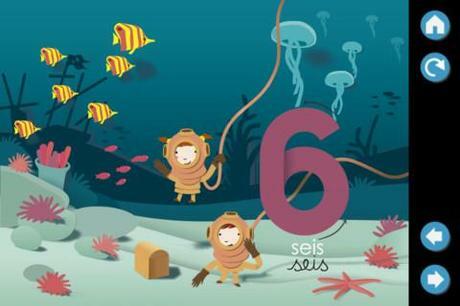 Now, this app is too easy for my 5,5 year old but we use it to teach her to count in French. We don't yet let our 2.5 year old use the Ipad. But I think it is a good math app for 3 and 4 year olds. Or if you are happy for your two year old to use the Ipad then s/he can also benefit from the app to some extent. The app is also compatible with Iphone and Ipod. Disclaimer:I received the app for free for review purposes,all opinion my own.